Restoring my vintage childhood chrome table and chairs was a labor of love. 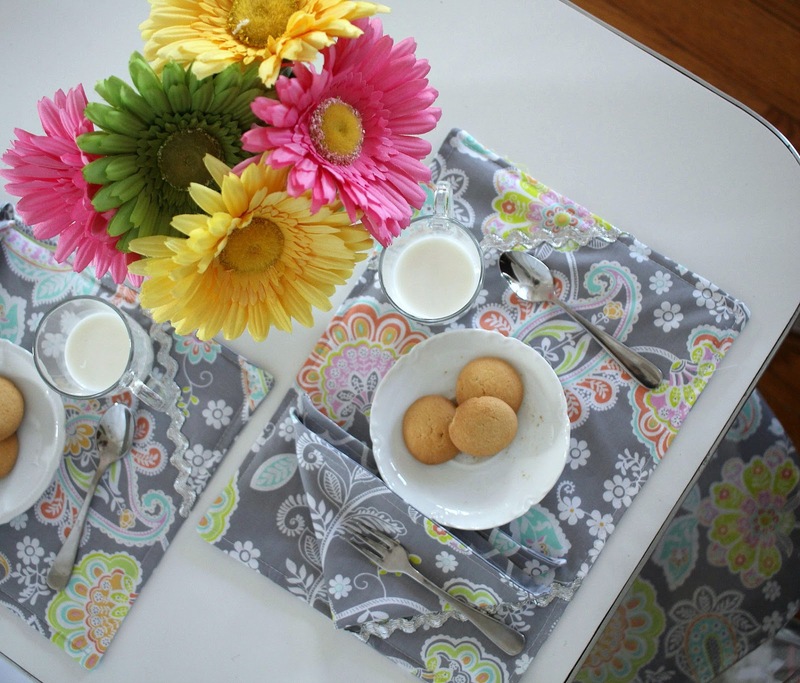 This sweet mid-century Formica and chrome set has been in our family for many years. 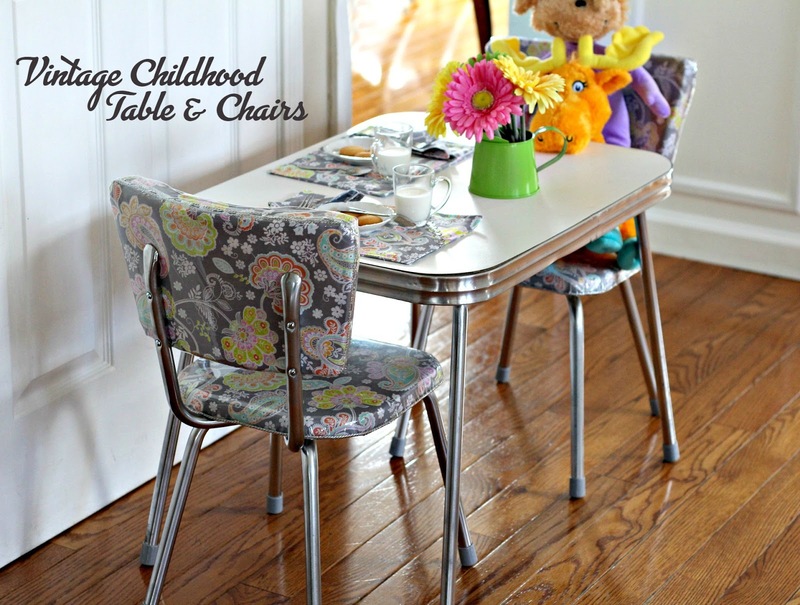 The vintage childhood chrome table and chairs set was a Christmas gift from my aunt when I was just three years old. My parents had a similar set in our kitchen. Here my brother and sister were entertaining me at a playtime tea party. I found this photo of my parents and I at what appears to be a party in the unfinished cellar of our home. We didn’t call it a basement back then. Here my table is being used for drinks. The set was just about in continuous use through all those years as it was strong and useful. Later I used it in our own kitchen when our daughters were small and our grandchildren eat at it and play on it presently. Shortly after my hip replacement surgery, I was told to do some physical therapy exercises in front of a mirror so I could see if my form was correct. As I had done umpteen times before, I sat on the table. 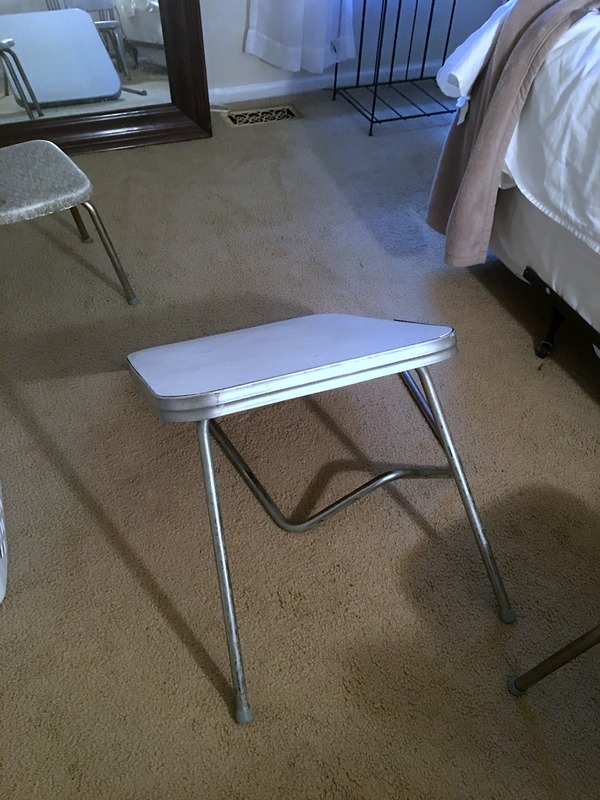 This time the table collapsed sending me to the floor on my brand new hip. In a moment of panic I scrambled to my feet unsure how I even maneuvered to standing. 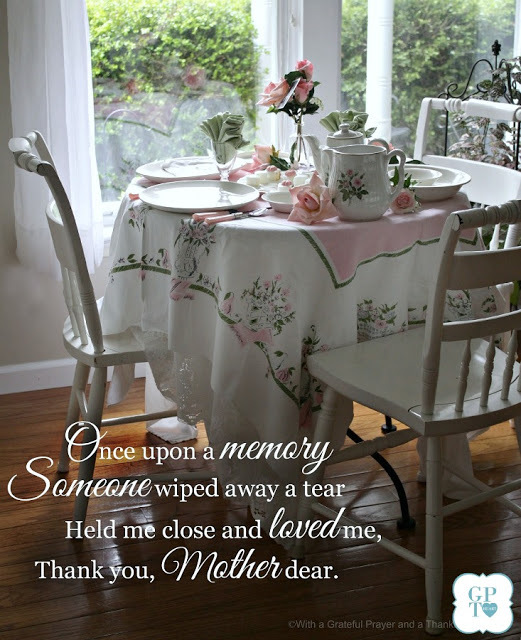 Amazingly, I did not hurt myself but my childhood table lay broken. 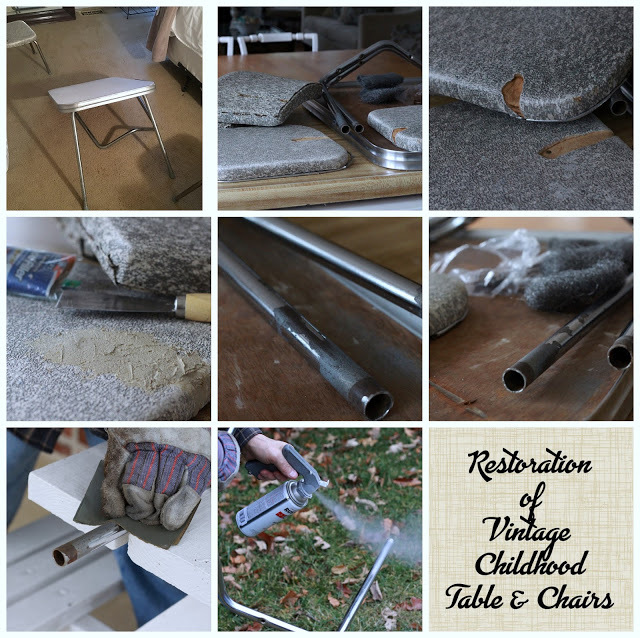 So, we began the process of restoring the table and chairs. We removed all of the screws, buffed off years of grime with steel wool and were surprised so much of the original bright chrome remained. John spray painted the bottom of the legs where the metal was bare. I used wood filler to fill in missing chunks in the upholstered chair seats and backs. We ordered new cups for the bottom of the legs. 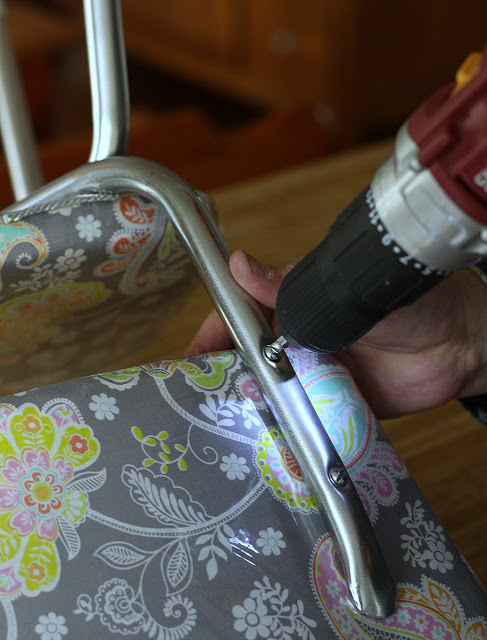 We worked together covering the chair seats and backs with pretty fabric. I applied trim, matching as closely as possible to the original. The fabric went on well and the trim added sparkle just like on the original set. I really didn’t want to cover the pretty fabric with clear vinyl but that wouldn’t be practical. 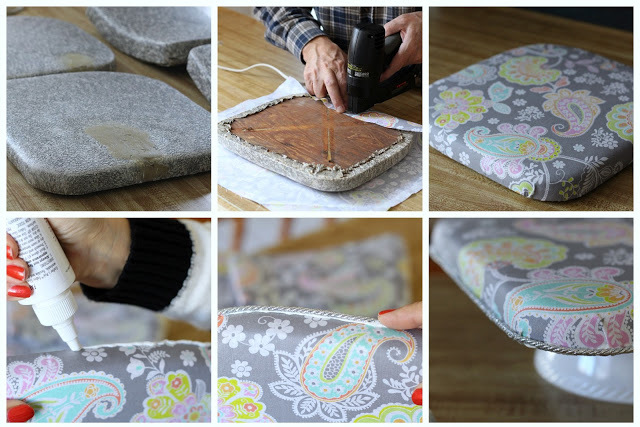 The old covering could be washed but the fabric would soon be soiled with use. Applying the vinyl to the seat bottoms was easy but it was so much harder to get wrinkles and folds out on the curved backs. We persevered and because the perfectionist in me was getting frustrated, I enlisted the help of our oldest daughter, Erin. It was the most difficult part of the project. 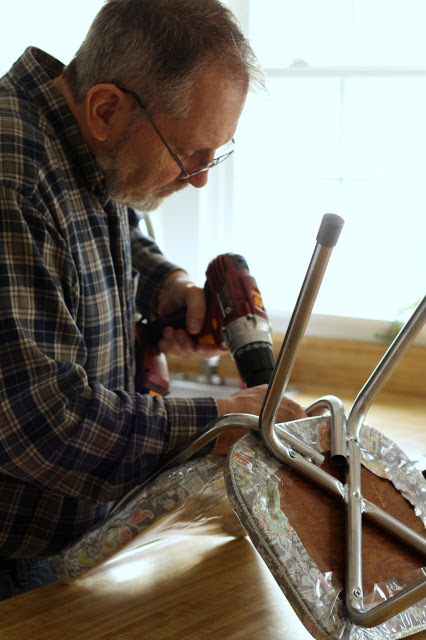 John purchased all new screws and reassembled the seats and backs to the bright and shiny legs. After a gentle cleansing to remove marks from the Formica table top, the set was finished. Using leftover fabric, I sewed reversible kid-sized place mats and napkins. Ready again for cookies and milk. 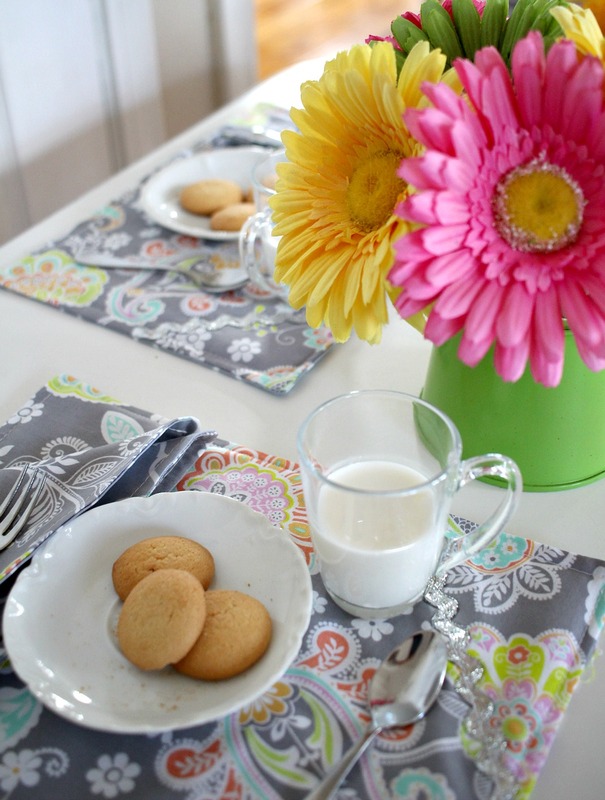 Children, nieces and nephews as well as grandchildren and their small friends have gathered round this little table. If I searched through old photos, I know I’d find more. I’m thinking there will be many more years and lots more kiddos playing, creating and eating on this restored set. That was indeed a labor of love. Wow! 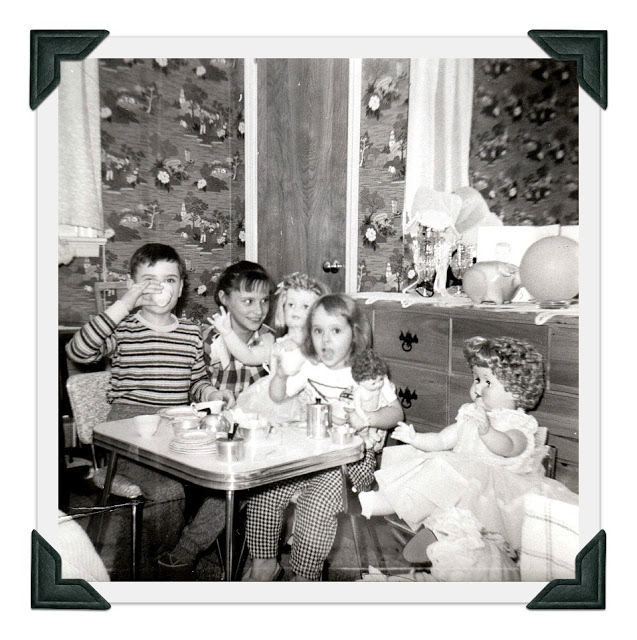 I had (still have) the same doll that is in your second photo. I've never seen a child-size table like this. What a treasure you have with all the good memories associated with it! It's gorgeous again, and I'm so grateful you weren't injured when it gave out! And, you should be happy with the results. It is so, so pretty! And,what memories it has created. Blessings! How I LOVE that! Great. 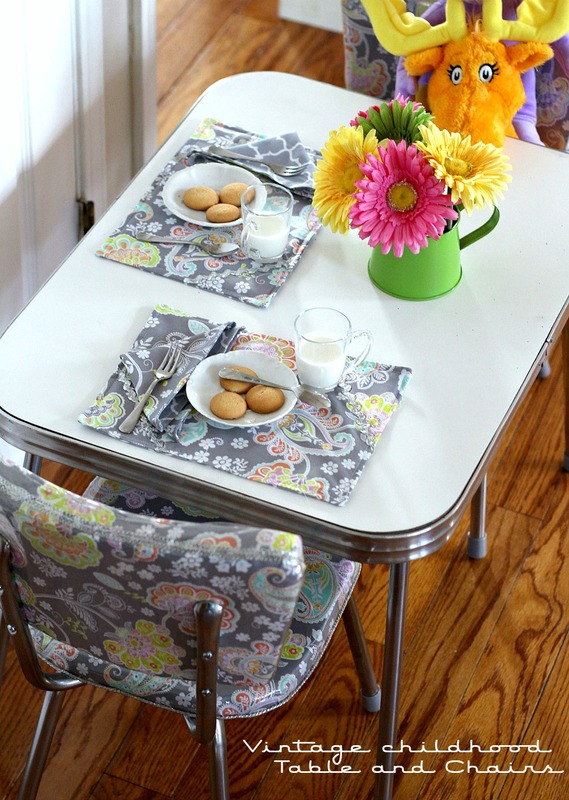 What a beautiful little set of table and chairs….bet your grandchildren will enjoy it to no end. It looks like brand new…what a find! I've been looking for cushioned kitchen table chairs with no success. We've had our kitchen table over 43 years and had refinished it years ago. But the chairs are like sitting on rocks…pretty much. Thanks for wishing me well with my back. Its been causing me grief but I've got relief so far. Hope you also have a restful week-end. Oh…and LOVED the old photos too! 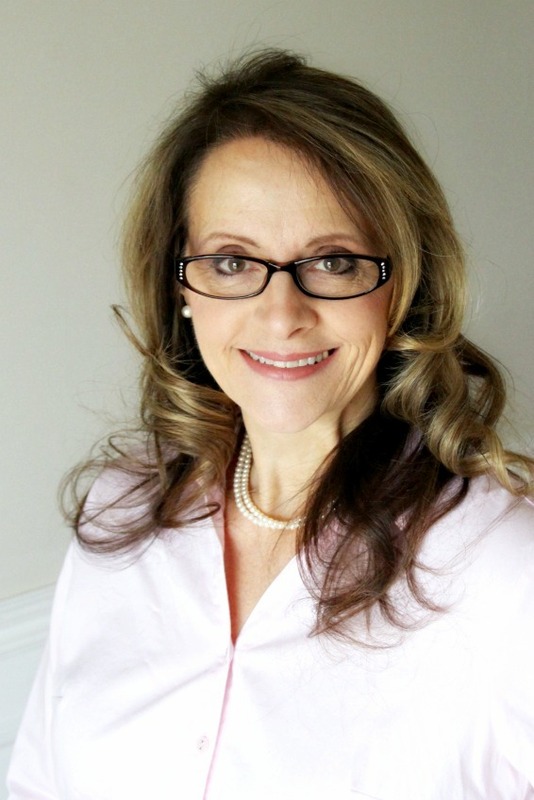 Oh Lorraine…first of all, what a true blessing that you did not injure yourself when the table broke…WHEW!! Secondly, you all did a FABULOUS job restoring this darling table and chairs! 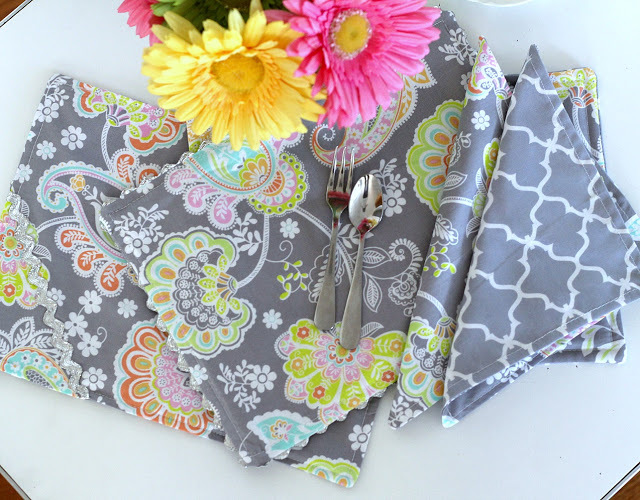 I love the choice of fabrics and I know those grands of yours must enjoy using it, especially knowing you did as a child. I would love to find a good vintage set (adult size) for when we build our farmhouse in a year or so. What a great project! How fabulous Love the paisley print you used, How lucky you are to have that set. This is a fun post. We had a similar set growing up. 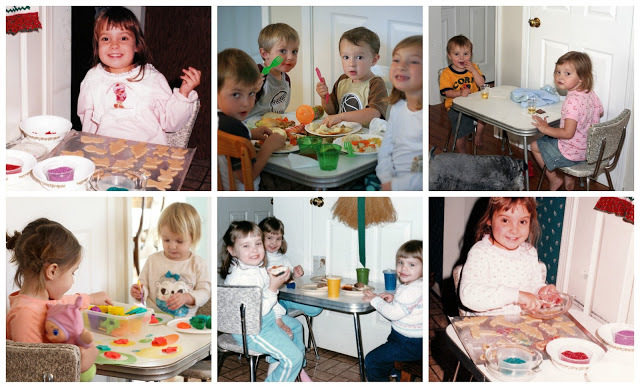 I loved seeing you and your siblings with the dollies in the first photo. 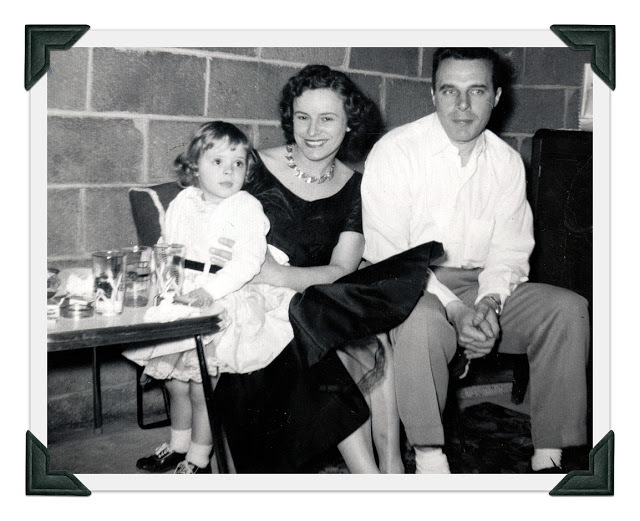 Our family had the vintage cars glasses pictured in the 2nd photo! 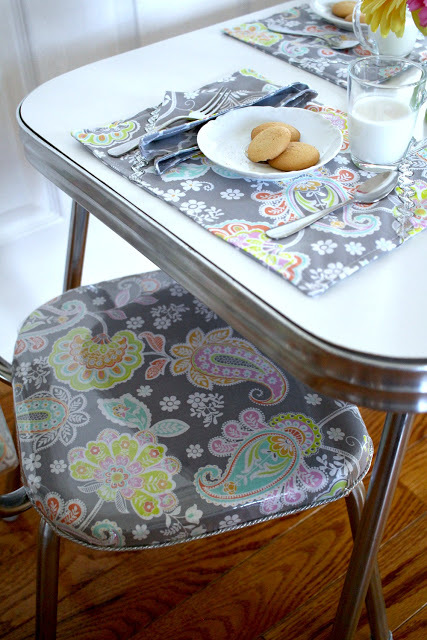 I love the paisley fabric you chose for the chairs and the darling tiny placemats. It's a treasure for sure! 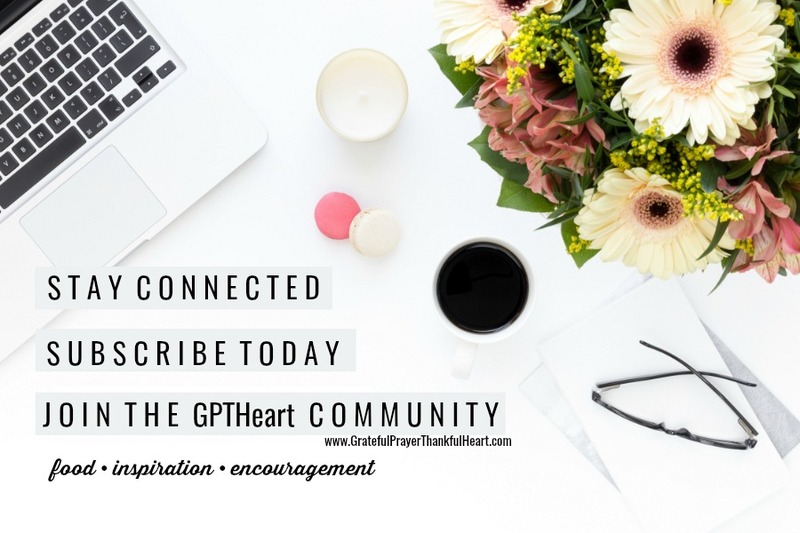 Let's see if this comment goes, as your blog seems to be working on my computer today! What an inspiring post! I think I might have tossed the table, but with all that history and good memories I can see why you would want to restore it. 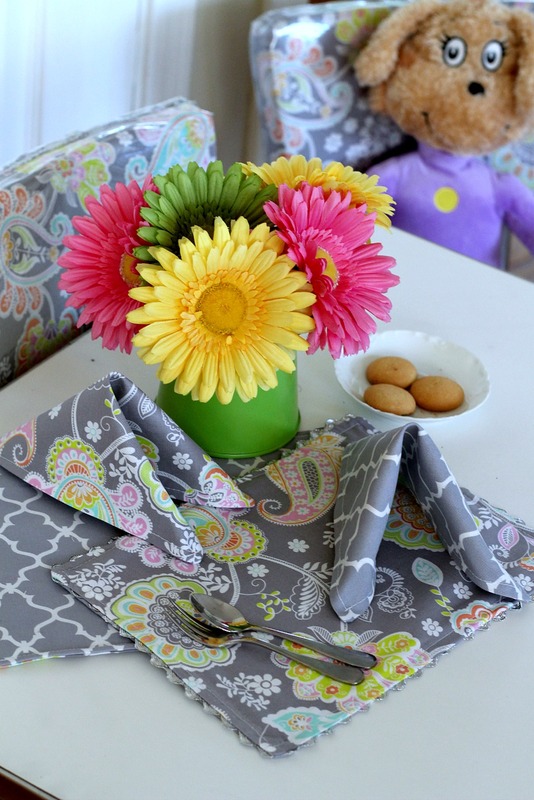 It looks wonderful–and the placemats and napkins are pure fun!